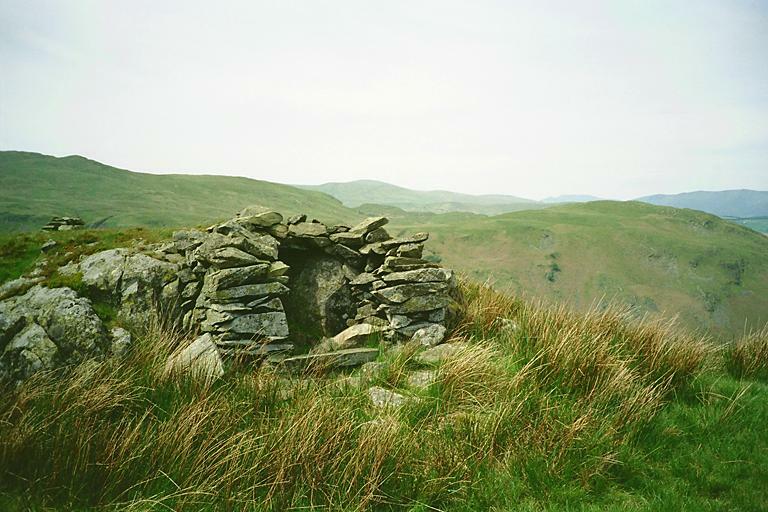 This tiny shelter lies to the southwest of Beda Head summit and is easily seen from the path. None of my reference works mention it. Smaller version of this picture.